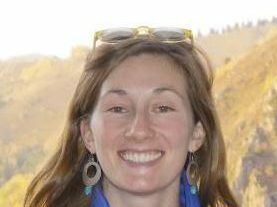 Sasha Richey is an Assistant Professor in Civil and Environmental Engineering at WSU Pullman. She is a Civil Engineer with a BS from Stanford University and MS and PhD from University of California, Irvine. Her main interest is in identifying and quantifying the interaction between human and physical systems, with a focus on groundwater and large-scale hydrologic systems. Current research combines satellite and in situ observations of hydrologic systems into modeling and decision support frameworks over large regional scales. She focuses on complex groundwater systems, where interdisciplinary approaches are necessary to understand both natural and anthropogenic drivers of aquifer change. Scaling of hydrologic and land-surface responses: Are the right processes represented at the right scale?